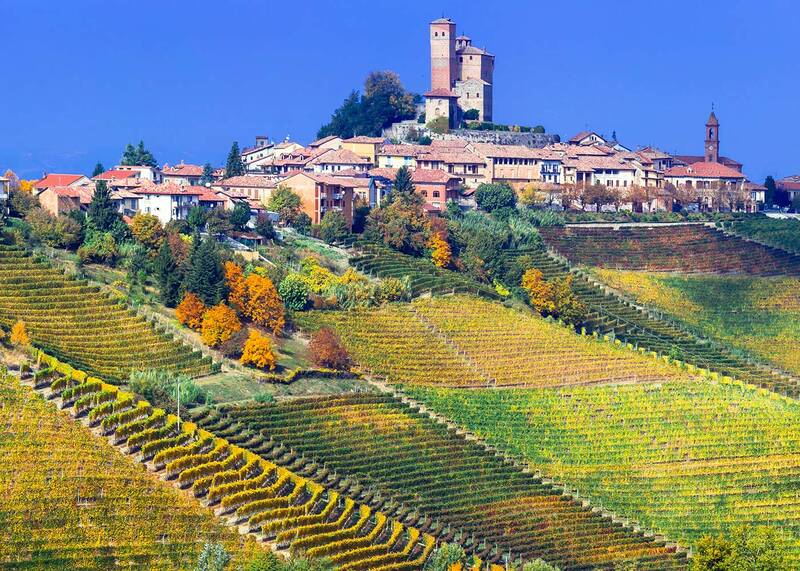 This bike tour is, by far, one of the most beautiful in Langhe area. Here you can see hamlets and castles dating back to the Middle Age, which definitely worth a visit. 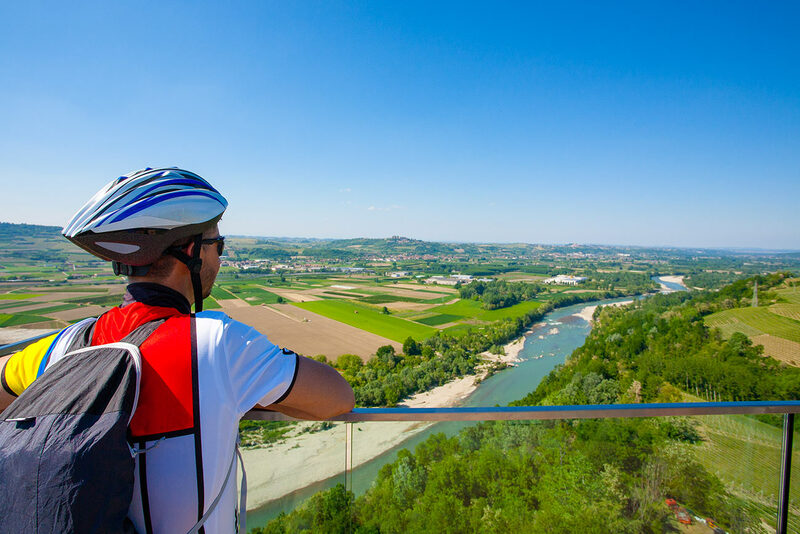 Following this itinerary, you will cycle on roads surrounded by vineyards and, in the highest part of the route, you can admire a splendid view of all the Alps, from Piedmont to Lombardy. The path consists of 44 kilometres and is suitable for everyone, with a more challenging first part and an easy second one. It starts in Alba, from a large roundabout at the entrance of the city, and in 10 kilometres flat it reaches Gallo Grinzane (municipality of Grinzane Cavour). 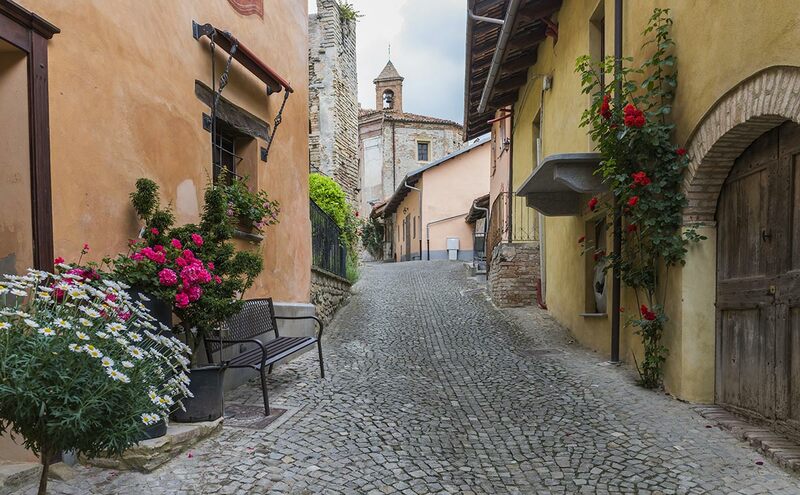 Past the town, continue pedaling towards the small town of Castiglione Falletto and then take the climb that leads to Monforte d’Alba. The stretch measures approximately 6 kilometres, with gradients of 8 percent at the beginning and of 5-6 percent from mid-onwards. The first section was an individual time trial during Giro d’Italia 2014 edition. On the road that takes you back to Alba, cross the characteristic hamlet of Serralunga d’Alba, with its imposing castle. The route is all on paved road, so we recommend a road bike. The ascent is 6+4 kilometres (divided by a descent in Monforte). From the middle of the route on it is all downhill and plain (interspersed with two very short uphill sprints). Classic cycling clothing is recommended, of course based on the weather conditions. 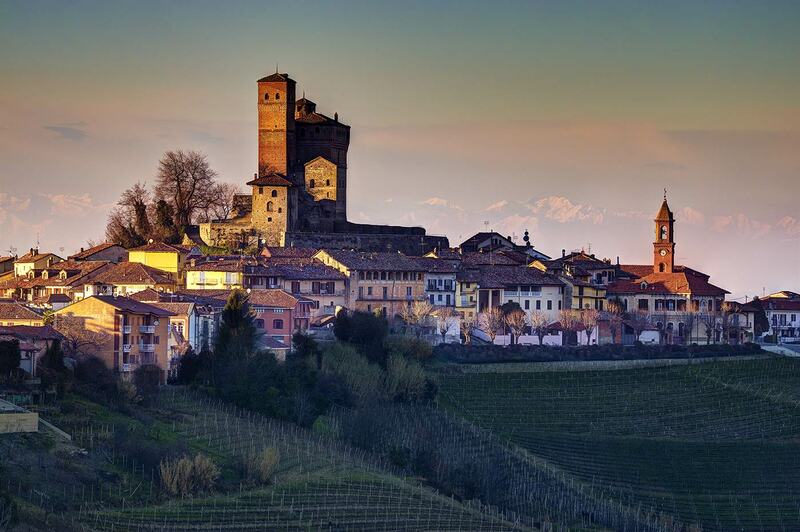 It’s one of the eleven towns where Barolo wine is produced and its name derives from the walls of the castle that surrounded the summit (Mons Fortis) and the medieval town. The town is rich in history: it has Roman origins, later became a Langobardic property and then a Carolingian feud. It rises on an elevated position, with its oldest part on the slopes of the hill, to testify its strategic function in the struggles among the local lords. 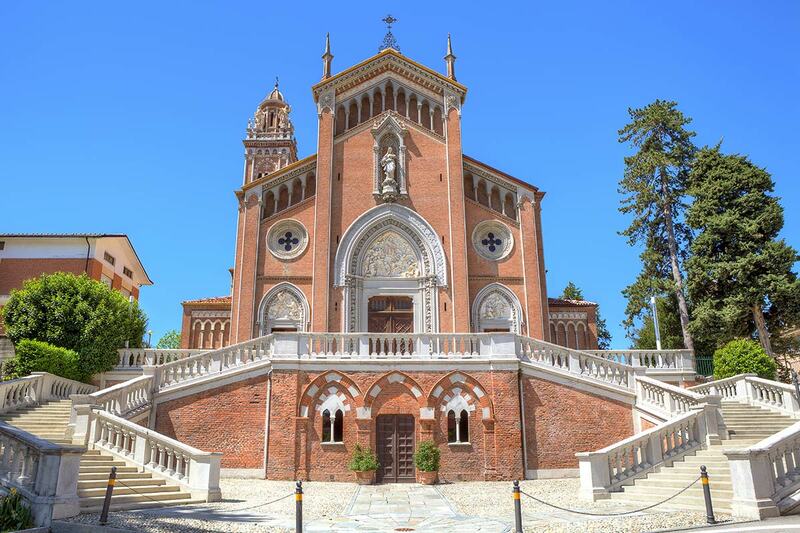 In the charming historic centre you should note the patrician residence of the Scarampi Marquises (the ancient Castle), a XIII century Romanesque bell tower and the parish church of Madonna della Neve (Madonna of the Snow). The amphitheater, which was inaugurated in 1986 with a concert by pianist Mieczyslaw Horszowski, is very evocative; by virtue of optimal acoustics, this amphitheater, carved out of a morphological slope of the ground, periodically hosts movie screenings, theatrical shows and concerts. The castle of Serralunga d’Alba dominates one of the most charming areas of the Langhe, surrounded by hills full of vineyards. Considered one of the best-preserved examples of XIV century noble castles in Piedmont, it represents a “unicum” within the surrounding landscape, with its vertical lines dotted with mullioned windows, battlements and hanging arches, circular towers and friezes, a token of the typical medieval European fortress house. Its construction dates to the mid XIV century and was one of the castle-symbol of the prestigious Falletti family for almost 600 years. The Valvassori hall, the main hall, features a coffered ceiling and is decorated with frescoes from the 15th century in the votive chapel. Difference in height: 494 m.
Difference in downhill: 485 m.